GEORGE stared at the ceiling waiting for sleep to consume him. He&apos;s been waiting for hours. It was always like this though. Every night he&apos;d have to spend away from Lydia he&apos;d somehow end up talking to her all night. Lydia rolled around in her purple duvet covers. She always dreaded the nights she&apos;d be away from George. The next day she&apos;d be all grumpy from lack of sleep and grumpy Lydia wasn&apos;t the best to be around. Yet, her parents couldn&apos;t see that she was grumpy because they were always working. It was their idea along with George&apos;s parents to separate them every third night. So, that no &apos;funny business&apos; would happen. Lydia shook her head, no funny business was happening any time soon. George and she agreed on that. They weren&apos;t ready for it. George <3: I hate the third nights. George smiled as the three dots appeared on the bottom of his screen. She was awake. Lydia <3: wanna come over? Grinning, he grabbed his hoodie and phone before slipping out of the house. Lydia smiled she heard her bedroom door open, "you&apos;re too cute," George said as he gently closed the door behind him. Standing in front of him was Lydia Jackson, his girlfriend, wearing one of his hoodies. Pecking his check, Lydia took his hand in hers, "I hate the third nights too." Leading him over to her bed, Lydia laid on his chest hearing his soothing heartbeat. The one sound that she loved to fall asleep to. PLEASE VOTE, COMMENT, SHARE AND CELEBRATE! 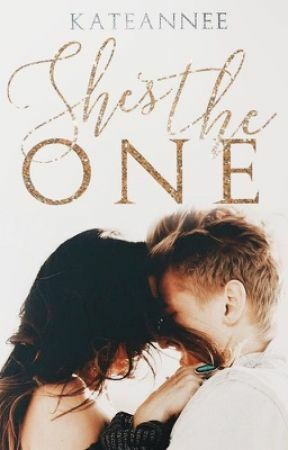 She&apos;s the One has hit 50k reads! Wow, this is amazing you guys! I cannot thank you all enough for all the support and love you are showing me! I love you all dearly and if you ever want to talk about anything just message me.